During the time I was waiting for my critique groups to finish reading Awesome Sauce, I arrived at Children’s Book Insider. At first look I assumed it was one of those book publishers who you pay to have your book published. I stayed long enough to realize it was not the purpose at all. This was a site full of step-by-step instructions on how to create and publish your manuscript. I spent hours on the site and eventually became a member of their community. I went through every page on CBI including the full writing course, sections on how to create a bulletproof manuscript, finding a publisher, and marketing your work. My life would have been simpler the past year and a half if I had started with this site. If Awesome Sauce was homework then I never looked at the requirements for the assignment. What CBI did for me is to get me motivated again to rewrite and re-edit Awesome Sauce so by the time I met with my critique groups a new version was already in place. The story had remained the same but the telling of it had once again become better. 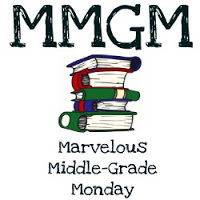 I also posted in their middle grade forum and found two other writers. We exchanged our first chapters and gave each other feedback. Okay, you must be saying, “Enough already, aren’t you done yet?” After making the last set of changes I let Awesome Sauce sit for a few days before reading it once again. My reactions: Many of the chapters jumped off the page but some were still a question mark. The story was paced a little too slow at the beginning. I made a few changes before enlisting the help of Laura Backes of CBI and she did a professional critique of the pages. Her insights helped me step back a step or two for a wider view. Her suggestions were to move up the action, delete several subplots, and organize it in a three-act structure. It was the end of March and I had three days free so I jumped in and got under the hood once more, tinkering with the plot, making deletions, and then letting it sit before reading it out loud… yes, just me and the dog in a well lit room. The dog went to sleep but my words echoed off the wall and when the last word was read I could only say, “This is it, the story I have been trying to write. A voice from afar had other ideas. No, not again, this is a bad time of the year to enlist readers. Schools are busy, warmer weather has everyone outside, including me staring at the many dead portions of my winter killed lawn. “Hey Greg, did you finish your book?” It was my first fifth grade reader from way back in the 76,000 word version. Things were set up quickly. 21 days of school left and 21 chapters. I agreed to come in and read the last chapter and then stay for these fifth graders reactions. It was a day I will never forget. Never underestimate the power of a suggestion. This entry was posted in Critiques, Editing and tagged Professional critiques. Bookmark the permalink.